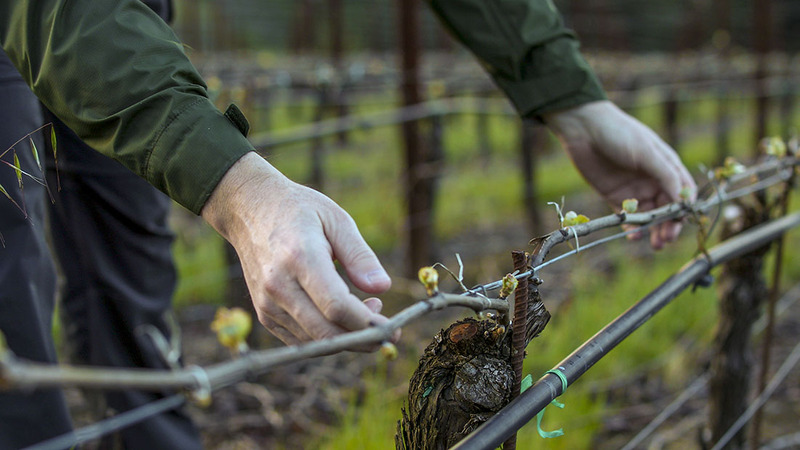 In contrast to the early and dry 2004 growing season and harvest, 2005 saw heavy late spring rains followed by a cool extended ripening period that pushed harvest well into late fall. As a result, our 2005 RRV Chardonnay is one of precision and finesse, yet shows plenty of trademark rich honeyed fruit and creamy texture. 2005 also brought a new source to the 2004 vineyard mix – the Martin vineyard a fifteen year old planting in the heart of the Green Valley district planted to an Old Wente selection on a steeply terraced west-facing hillside. The vineyard's free-draining Goldridge soils produce small berries of great mineral and flint intensity and a broad nuanced texture – a great new addition. Chardonnay crop levels were naturally elevated after the small 2004 harvest and wet spring and the cool harvest conditions offered fruit maturity at slightly lower alcohol levels. In the cellar these wines fermented to dryness quickly and yielded the lowest residual sugar level of any previous RRV release. The Malolactic fermentations were paradoxically the slowest we have yet encountered – they didn't finish until July 2006 – which together with increased lees stirring, added an additional layer of texture to balance out the prominent acid backbone the individual lots displayed.